These two independently commissioned theologians have arrived at the same conclusion of other esteemed theologians who have evaluated Luisa’s writings at previous occasions during this century. It should be recalled that Blessed Hannibal Di Francia, who was Luisa’s extraordinary confessor for 17 years, and was appointed by the Church to be the censor of her writings, also, found nothing contrary to Catholic faith or morals and granted the “Nihil Obstat” to the first 19 of her Volumes in 1926, shortly before his death, Archbishop Joseph Leo granted the Imprimatur to those Volumes, also in 1926. The Official Theological review of Luisa’s writings is now nearing completion. Any further theological evaluations will depend upon the judgment of the President of the Tribunal responsible for Luisa’s Cause, Archbishop Carmelo Cassati, who, according to Church Protocol, is the only official judge in this matter. Later, when all the necessary work has been completed in the diocese where Luisa lived, the Cause will be forwarded to the Vatican, whose offices, gave the appropriate permissions to Archbishop Cassatito open Luisa’s Cause in 1994. Luisa Piccarreta lived a holy life of prayer and suffering, attested to by her contemporaries and with a fame of holiness to this day. She was always obedient and submissive to the Church in everything. This is precisely known, since from 1884 until her death in 1947 she was under the care of confessors appointed by her bishop. On this basis the Archbishop of Trani, with the permission of the Holy See, opened her Cause for Beatification in 1994. The investigation has confirmed these facts without any doubt. Any attribution of heterodoxy to her constitutes a grave injustice [Clarifications 1-6]. Writing under obedience, Luisa Piccarreta wrote two small texts Life of the Blessed Virgin and Hours of the Passion, and later produced 36 numbered manuscripts, in which she elaborated what she received in prayer about “living in the Divine Will.” These texts were written in her region’s Italian dialect, rather than in standard Italian, a factor which complicates accurate translation of the sense. A number of the early volumes were reviewed, and published, by Saint Annibale de Francia (+1927), in his capacity as confessor and diocesan censor. In 1938, however, this activity ended, when three of her works, annotated by another person, were put on the Index of Forbidden Books. The balance of her writings were taken into custody by the Holy Office (now called the Congregation for the Doctrine of the Faith), where they remained sequestered until 1994. In 1998 the now retired Archbishop of Trani, Carmelo Cassati, ordered the suspension in the United States of Divine Will Conferences, because of the controversies noted earlier. While this suspension no longer applies, the following statements govern conferences in the U.S. and throughout the world. The current Archbishop can only directly authorize priests under his authority, such as Fr. Bucci, to speak on Luisa and her spirituality. However, priests who have a letter from their own Bishop permitting them to speak on Luisa, and who are conversant with both her writings and Catholic theology, can have their Bishop request a letter from the Archbishop of Trani which authorizes them to speak officially. They can then present the Archbishop’s letter to the bishops of locales where they wish to give conferences. The Postulation encourages prayer groups in the various dioceses of the world, in order to spread Luisa’s fame of holiness. It especially desires that her great devotion to the Mother of God be imitated. It urges, whenever possible, that groups be conducted under the guidance of a prudent priest of proven orthodoxy. The supervision of prayer groups falls under the competence of each diocesan bishop. During these almost sixty years following her death, the Carthusian [i.e. the most careful and painstaking] research of the handwritten and the printed writings of Luisa has greatly intensified; many groups and private associations have risen, inspired by her spirituality and attracted by the many benefits received by reading the already published works. The memory of Luisa was never buried; and so also her humble and extraordinary teachings, the testimony of her evangelical existence, the spiritual edification that magnetizes the souls to follow her example, and the blessings that she continues to pour down from Heaven through her intercession. Three truly historical events have crowned the walk of affirmation of Luisa Piccarreta in these last years: the International Congresses held at San José of Costa Rica in December 1995, at Corato in October 2002, and, again in Corato, from the 27th to the 29th of October 2005. 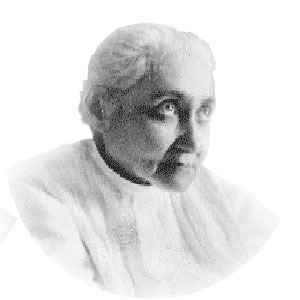 The International Congress of Costa Rica, which lasted eleven days, comprised five, teeming, daily presentations—more appropriately “meditations” centered on the Divine will as lived and taught by Luisa Piccarreta—and they were accompanied by Eucharistic Celebrations and a steady adoration to the Holy Sacrament. The 2002 Congress, held at the Oasis of Nazareth in Corato, with many participants coming from foreign countries, served to shed light on the status of the Cause. The upcoming International Congress, anticipated for next October, on the occasion of the closing of the diocesan phase of the Cause of Beatification of Luisa, will contribute to shed light on the salient aspects about the person, the spirituality, and the holiness of life of Piccarreta, in light of the testimonies and of the documents retrieved during these last years. In fact, the first result of the process of beatification was the retrieval and the cataloguing of the diaries and publications of Luisa’s works. In 1996, Archbishop Mons. Cassati, upon formal request to the then Card. Joseph Ratzinger, obtained from the ex Holy Office a photocopy of the thirty-four autographic notebooks of the Servant of God, which had been appropriated in 1938 by the aforesaid Congregation. He then appointed some reputed theologians to reexamine such writings and to judge the orthodoxy of the Luisa’s writings, which were needed for the proper procedural acts. We shouldn’t believe, however, that the Servant of God was a graphomaniac or a person who wrote a lot to get attention. Rather, she was a person extremely reluctant to put in writing the fruits of the prolonged nighttime contemplations of her loving dialogues with her bridegroom, Jesus. She surrendered only for her spirit of obedience to her confessors—to Don Gennaro De Gennaro, her first confessor, and then to St. Hannibal Maria Di Francia, her spiritual guide and promoter of the first publications. Upon formally interviewing the above-mentioned, surviving witnesses—who were all invited to give testimonies under oath—a unanimous consent was reached regarding the holiness and heroic exercise of the theological and cardinal virtues of the Servant of God; and the secret is not violated if we affirm that their unanimous opinion is much more valid because it perfectly fits in the context of the unchanged and always growing plebiscite of devotion of the present faithful people. A pale profile of the main characteristics of Luisa’s persona, which remained impressed in the witnesses’ memory, include the following: Luisa Piccarreta, by people’s opinion, already enjoyed in life the appellative of “saint” and, as already mentioned, all called her and still call her “Luisa the Saint.” This opinion doesn’t intend to anticipate the final judgment of the Holy Mother Church—even if it remains an ardent desire!—but it denotes only a judgment of the people, strongly struck by her simplicity, transparency and holiness. This was her fulcrum, which explains the constant and heroic exercise of Luisa’s virtues, especially her imperturbable serenity in the tests that she had to endure. During her life in fact, she was often seen visited, examined, observed, and questioned by ecclesiastical authorities, by superiors, by priests, and by religious of strong theological and ascetic culture; yet, she perfectly remained serene, and above all, humble and obedient to the Will of God, which was manifested to her through the Church and her ministers. As a teacher and missionary of the Divine Will, she promoted It not “with words of human wisdom”, in an areopagus of wise men of the earth, but as a fruit of her great love for God, as a humble woman of the people, with a degree of culture barely elementary, and with an existence almost buried and “hidden with Christ in God”(Col. 3: 3). Luisa remains in the sky as a luminary of this virtue, in an era which is not free of confrontations —fruits of the “not serviam” spirit [the refusal to obey, to submit] largely spread in the Church, family, nations, and social groups. Contemporary man, who trusts in the certainties of his scientific, technological, and social conquests, tries to flee from the mystery of the cross and from the pains of suffering. He in fact, interprets suffering as an annihilation of his dignity; he doesn’t understand it, and he intends to eliminate it from history. On the contrary, with evangelical wisdom, Luisa Piccarreta presents the cross, in concrete and popular terms and with incisive examples, as a remedy and health for the world. In her opinion, the human crosses become a fertile suffering when they are united to the crucified Christ, and mystically immolated in the Eucharist; the cross then becomes a suffering full of love, a suffering willingly hidden and always in line and in tune to the Fiat pronounced in Nazareth and renewed on Calvary by the Most Holy Virgin Mary, to whom Luisa was very devoted. Therefore, not complaints, but only union with Christ victim, to atone for sins and to appease the justice of God on behalf of men: she reminds us that to the divine chalice, overflowing with the merits of Christ’s suffering, we need to add the drops of man’s suffering, in order to cooperate in the same Redemption.